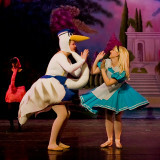 Welcome to Gwinnett Ballet Theatre's spring production of Alice in Wonderland. There were also 4 short ballets from their repertory. I spent a bit of time lurking backstage for those "real" moments. I used a Canon 5D and a Canon Mark III both set at ISO 1600. 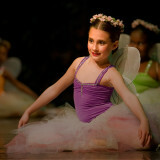 The dancers enjoy reading your comments and if you believe this gallery has merit, please vote so others may see it. Excellent! Wow... Well done, Richard. I can't wait to see more of your works. Very good! love the pics! From Fort Wayne IN. My niece Sarah Cherney was in one of the pictures and I enjoyed looking @ all the pictures. I like the mix of backstage/onstage pictures. From younger ones to the experienced athletes, a superb display of your brilliant talents. Wonderful and Colorful Gallery!!! : Big Vote. Don't know how else to describe it. Each image is a work of art! Very refined colorful gallery. V.
Richard you are really a gifted photographer! Amazing gallery!! Excellent images!! Vote!! another awesome gallery, my friend. on another outstanding gallery. v.
Richard, as usual your work is outstanding. What else to say? Superb, bravo, magnificent! The dancers are absolutely talented and I only wish that one day I am able to see them dancing live. Right now is viewing via Richard's collection which is already so wonderful. To capture spontaneous and fleeting moments requires extreme skills and understanding of the arts/subject. These moments in time are absolutely priceless to the artists and a gift if it's frameable. You simply take my breath away! Outstanding in every way! V V V V! Wow, it took so much effort of imagination to create this colourful costumed performance, and surely due to a great photographic work we can all now be the witnesses of this feast of this beauty. Bravo! Richard you've certainly followed the Rabbit down the hole!! Fabulous colors, perfect timing and great little glimpses backstage as well. You continue to delight and amaze with your images. Your lens is truly a "Looking Glass." Outstanding galery, thanks, Richard for your advise. Thanks for sharing and send may congratulations to dancers, I need no more to say they must be very , very good. Extraordinary to me yet i'm not surprised at all how you seem to know exactly when to snap your shot. I'm so proud of you my friend!!! These performers are lucky to have you as much as you lucky to have such professionalism to photograph!!! I see a win win situation here. Beautiful, simply breathtaking! Thank you for sharing, Richard! Voted. I love this gallery, Richard!!!!!!!!! Funny, different and excellent! Thank you for sharing photos!!! Another outstanding series of yours. Always a delight to view your images and marvel at the dancers abilities. 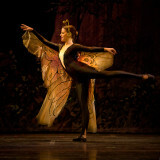 What a graceful little garden fairy!! Of course, she's my granddaughter!! Wonderfull !!! Thanks for sharing. 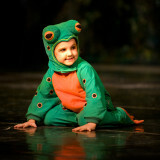 Your indepth knowledge of this production, a very large measure of photographic skill plus the lighting............wow. You must be respected enough to have access to the stage by the look of these wonderful images. Beautiful and great work, Richard!!!!!! VOTE! !